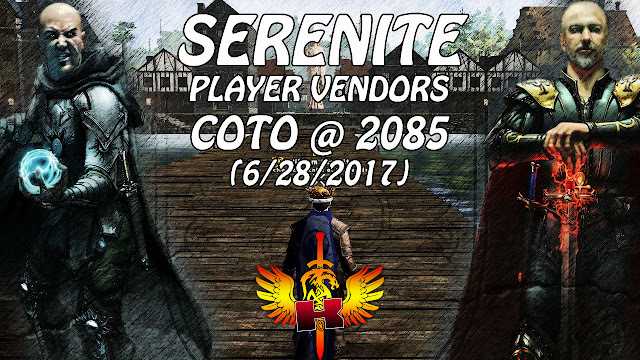 Serenite, Player Vendors, COTO @ 2085 (6/28/2017) • Shroud of the Avatar Market Watch - KABALYERO - PLAY, BLOG & EARN! I delivered some Silver Ores in Serenite and, since I was already there, I decided to check out the player vendors in town. The last time I checked the player vendors in Serenite was over a month ago.